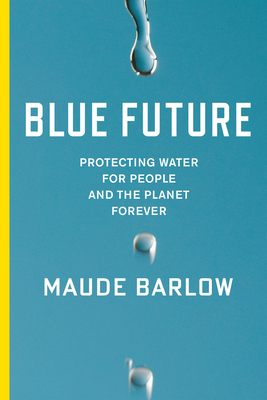 In her bestselling books Blue Gold and Blue Covenant, world-renowned water activist Maude Barlow exposed the battle for ownership of our dwindling water supply and the emergence of an international, grassroots-led movement to reclaim water as a public good. Since then, the United Nations has recognized access to water as a basic human right--but there is still much work to be done to stem this growing crisis. In this major new book, Barlow draws on her extensive experience and insight to lay out a set of key principles that show the way forward to what she calls a "water-secure and water-just world." Not only does she reveal the powerful players even now impeding the recognition of the human right to water, she argues that water must not become a commodity to be bought and sold on the open market. Focusing on solutions, she includes stories of struggle and resistance from marginalized communities, as well as government policies that work for both people and the planet. A recipient of Sweden's Right Livelihood Award and a Lannan- Cultural Freedom Fellowship, Maude Barlow is head of the Council of Canadians and founder of the Blue Planet Project. The author of sixteen books, including Blue Gold and Blue Covenant (both available from The New Press), she is on the boards of Food & Water Watch and the International Forum on Globalization. She lives in Ottawa.